The final release of Ubuntu 10.10 Maverick Meerkat is here with a ton of improvements. I think, it's time to stop talking about the great strides Ubuntu 10.10 has made on the usability fronts and lets just concentrate on the things you need to do and you could do with the new Ubuntu 10.10 Maverick Meerkat. Every time you install a brand new Ubuntu, the first thing you need to do is to update repositories and make sure you have the latest updates installed. Goto System - Administration - Synaptic Package Manager and hit 'Reload' button OR simply do the following in Terminal. Install the "ubuntu-restricted-extras" package. 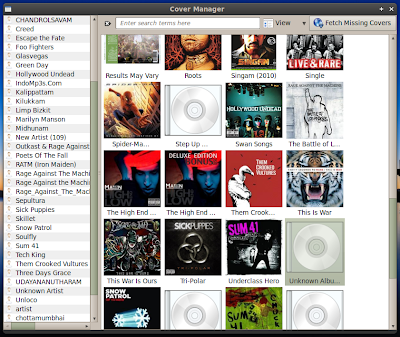 This will enable your Ubuntu to play popular file formats like mp3, avi etc. Click Here or use the command below to install the package. In my case, all the hardware drivers including graphics and wireless drivers were enabled automatically. But this may not be the case with everyone. If you are on the other side, simply goto System - Administration - Hardware Drivers and check whether if there are any drivers available and activate the ones you want. In 90% of the cases, this will do the trick. Those who were not able to get their hardware drivers enabled yet will have to do fair amount of digging through ubuntuforums. 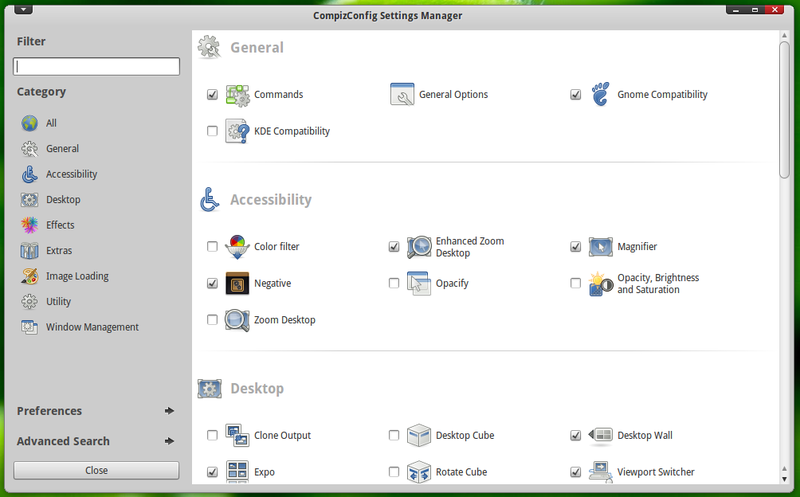 Now to tweak compiz the way you want, Install "compizconfig-settings-manager". Click here or do the following in Terminal to install "compizconfig-settings-manager". Done. 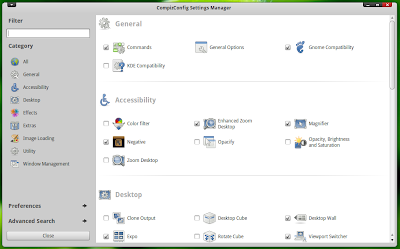 Goto System - Preferences - CompizConfig Settings Manager. If you have been a reader of this blog for sometime, you probably would have guessed it already. 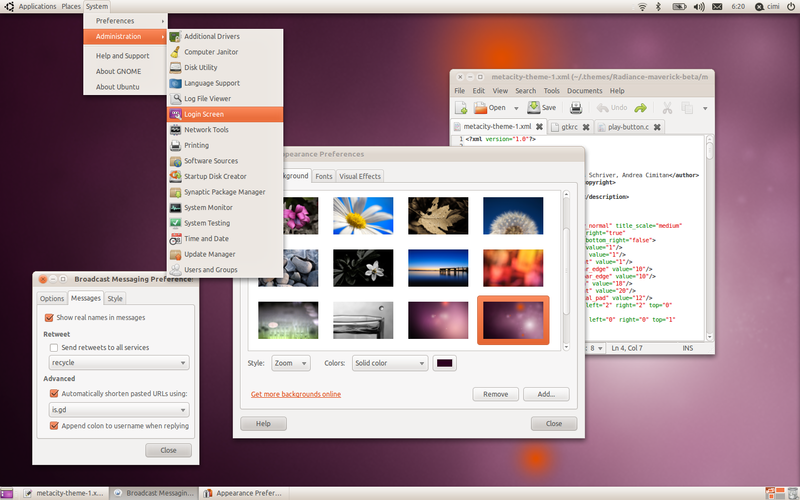 Equinox GTK Theme + Faenza Icon Theme is still my favorite Ubuntu theme combination. Install it once and you will feel the same, I assure. Done. Now, there is one more theme you should strongly consider. Elegant GNOME Theme Pack for Ubuntu. It's as good and sometimes even better than the one we discussed before. Nautilus Without Nautilus-Elementary is Dull! 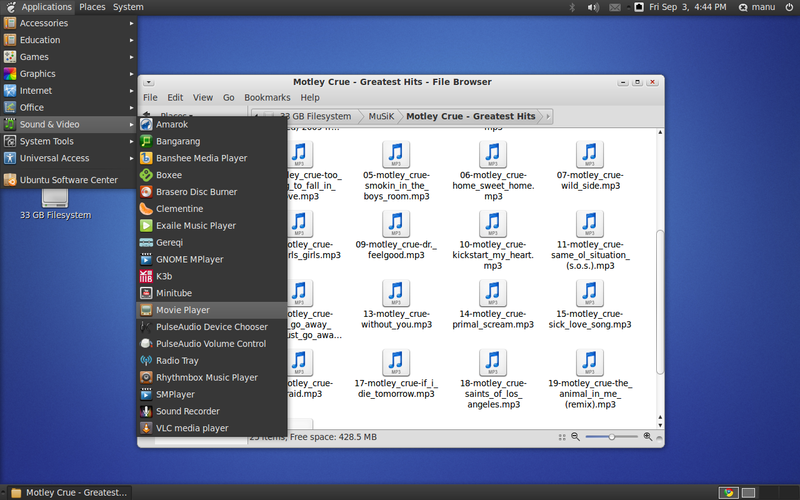 Nautilus-Elementary is Nautilus on steroids. Your favorite file browser just got awesome. The new Nautilus-Elementary for Ubuntu Maverick comes packed with a lot of goodies like embedded Terminal, Clutterview and more. Read our Nautilus Elementary in Ubuntu Maverick Review. To install Nautilus Elementary in Ubuntu Maverick, do the following in Terminal. Done. Nautilus Elementary is at its awesome best when used along with Equinox + Faenza theme combination that we described earlier. Gloobus Preview is a simple file preview application which in my opinion, should be included in the default installation. It is so useful and absolutely lightweight as well. Install Nautilus Elementary also for best results. Following steps will you install Nautilus Elementary and Gloobus Preview together. Please keep in mind that, if you have installed Nautilus Elementary from the earlier step, you don't have to add 'ammonkey' Nautilus Elementary PPA again. Done. Hit space bar to activate Gloobus Preview. Detailed review of Gloobus Preview and more screenshots here. Some of the applications that I regularly use in Ubuntu are not available by default. And all of them are available in the default Ubuntu 10.10 repo. 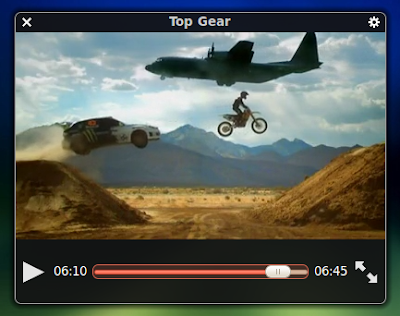 If you want to install the bleeding edge versions of the apps, follow the respective links. Thats pretty much it, my Ubuntu 10.10 is ready to roll. Those steps may feel like a lot, but trust me it's not and really quite easy to do. Enjoy the maverick magic.